Leaked release notes for Apple's critical iOS 11.3 update indicate that when it arrives for devices beyond the sixth-generation iPad, it won't support AirPlay 2 —and that even the company's promised battery health features are technically unfinished. There's no mention of AirPlay 2 in the notes, shared in English form by developer Pierre Blazquez after a French translation was posted by Mac4Ever. The standard was in the first two 11.3 betas, but subsequently disappeared for reasons unknown. Sources inside Apple not authorized to speak on behalf of the company told AppleInsider that the notes are "not complete," but refused to elaborate any further. AirPlay 2 is not enabled in the iOS 11.3 update that was released on Wednesday for sixth-gen iPad owners. Once it's finished AirPlay 2 will let people stream audio from an iPhone or iPad to multiple devices simultaneously, such as HomePods and Apple TVs. Speakers will become supported in HomeKit, and in fact appear in the iOS Home app. "iPhone Battery Health" features are listed as still in beta. Crafted in response to the ongoing battery throttling controversy, these not only provide better data on battery life but signal whether throttling is on, with an option to disable it except under extreme circumstances. If a battery degrades enough an iPhone may even prompt its owner to get the part swapped. These features don't appear to carry over to iPads, though Apple is promising better "charge management" for iPads hooked up to power sources permanently or for long stretches of time, such as at a sales terminal. Also listed as in beta are Business Chat for Messages and Health Records, the latter letting patients see immunizations, lab results and other items in the iOS Health app. The release notes are otherwise as expected, for example mentioning the new animoji for iPhone X owners —a bear, dragon, lion, and skull —and support for ARKit 1.5, which lets augmented reality apps detect vertical surfaces and real-world artwork. 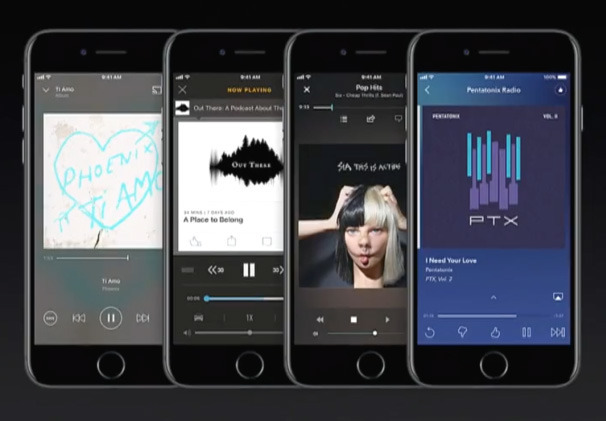 Some other improvements include sort filters for App Store reviews, and the ability to connect with friends in Apple Music for recommendations. Makers of HomeKit accessories will be able to take advantage of software authentication, lowering the barrier to entry. Another missing item is Messages on iCloud, which not only stores conversations and attachments online but makes them visible even when switching to a new device. Apple did hint, however, that this might not be in the final iOS 11.3 update.